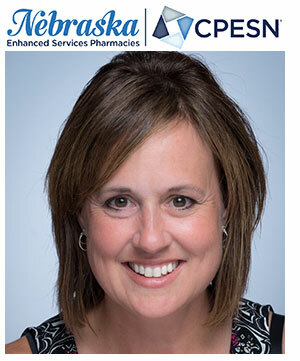 Each week, we feature a CPESN Luminary, highlighting their important, ongoing work in local networks and why being a part of CPESN networks matters. Staci Hubert is the owner of Ashland Pharmacy in Ashland, Neb. – and a luminary of Nebraska Enhanced Services Pharmacies, a CPESN Network. "I am very proud of how our leadership team has come together with respective strengths, to create a network in Nebraska to help further our efforts to get contracts for payment for the services we provide," Hubert says, adding that they've come a long way. NESP has become a legal entity, applied for grants, worked on membership outreach and recruitment, and webinars. She enjoys working with a group of forward-thinking pharmacists. "It has been a breath of fresh air for me," she says. NESP is working on is being able to bill for smoking cessation interventions for Nebraska Medicaid patients and provide products for them. NESP is close to completing a better communication website for NESP members, a project that was funded by a grant. "This will allow us to stay connected and abreast of anything that is happening with the NESP-CPESN-USA network," she says. For information about CPESN networks near you, email info@cpesn.com.